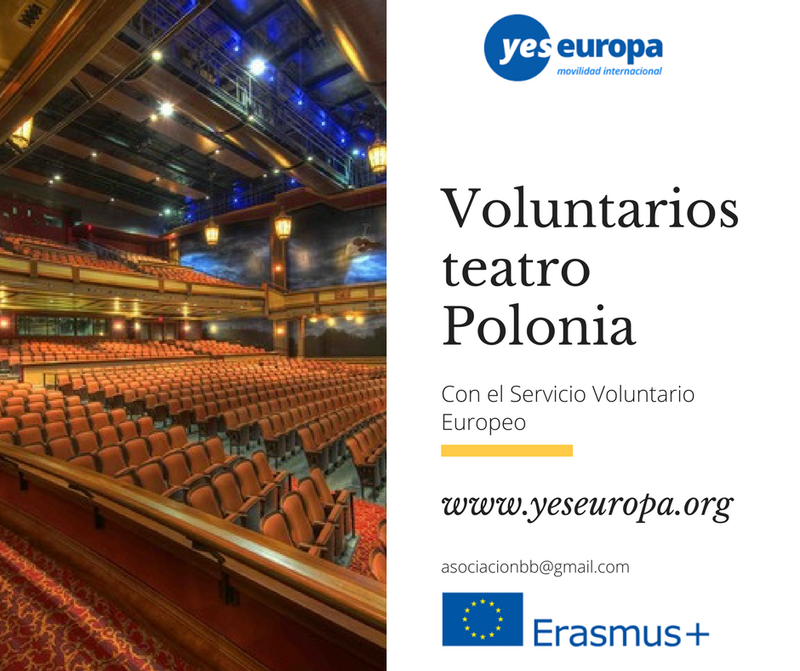 Te traemos estas plazas que buscan voluntarios teatro para incorporarte en octubre 2017 en Polonia con todos los gastos pagados. We just opened selections for new volunteers for our next evs project Do it toghether! Intercultural dialogue and artistic creation (presentation attached). If you could share it with potential candidates it would be great to start new collaborations. Cultural association „Postcard” have been working since 2004. It was created by a group of independent artists associated to many artistic fields such as theater, photography, music and dance. Our head office is placed in Hajnòwka, a small town in Podlasie region, in East Poland. Our activities are focused on working among the community organizing artistic and educational activities in order to develop people’s awareness and to keep the value of culture alive. Through the association and its theater company, Teatr, we want to promote folk and contemporary polish culture inside and outside the country in both culture-dedicated and unofficial spaces. Following this aim, we organize performances, concerts, workshops and events in cooperation with other associations and business entities. During these years of work, we carried out art projects sponsored by the Ministry of Education, the Ministry of Culture and National Heritage, Centre for Contemporary Art Ujazdowski Castle, the Ministry of Regional Development. – Voluntary cooperation of local and international breath. Are you interested in theater and media communication? Do you want your chance to organize your own event with a cultural association? If the answer is yes, Do It Together! is the project for you! Association Postcard is looking for 5 proactive and energic volunteers interested in theatre, photography, video making and social communication who are ready to challenge themselves for 12 months in Poland! By volunteerig you become an active member of our team and all your ideas will be fundamental! Whether it is a concert, a performance or a workshop, you can follow your ideas and put your manual and management skills into practice! The association is engaged in many artistic projects: the organization of Wertep, an international theater festival, and many artistic and educational activities such as workshops in schools and events with the local community. We want our volunteers to be an active part of all the stages of realization of the projects, from the idea to the concretization and promotion. This is a perfect opportunity to experience everyday working life with a cultural association. Volunteers will also be a fundamental part of the whole process of realization of “Hajnówka Centralna”, a new artistic project which aims to transform the former train station into a heart of new ideas and common projects, where each member of the community can give a personal contribution to enrich the culture of the area. And there’s more! Volunteers will collaborate with the association’s theater company, Teatr, in the creation of performances; they’ll be involved from the manual process of creation of costumes and scenographies to the acting part. It will be an amazing chance to travel all over Poland and abroad, bringing performances to festivals and international events. The association is based in Hajnòwka, a small town in Podlasie, a unique region in East Poland with rich history and traditions, surrounded by the beautiful Białowieza Forest. Living in a small town can be really challenging sometimes, but with your help we can contribute to keeping the community alive organizing artistic activities and events; anyhow, if you’ll need a taste of city life, Białystok is not far! We will study carefully all application and selected candidates will be invite for Skype interview. The selection of volunteers will take place in the middle of September. me gustaría saber si todavía se puede solicitar plaza.